High quality, well-built, sturdy, durable, and comfortable bike. This bike comes 95% assembled, and all the necessary tools are included to easy assemble training wheels, pedals, handlebar, and saddle. The seat is adjustable, cushioned, high back and comfortable. Wide and knobby tires make riding stable. 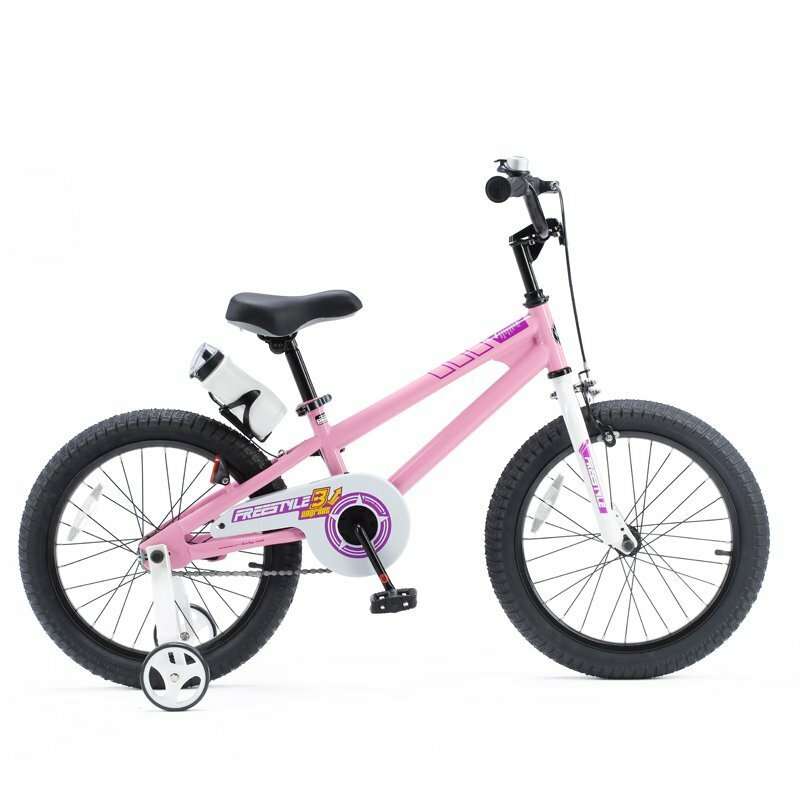 Heavy duty training wheels reduce the chance for kids to fall while riding or turning. This bike includes a basket, bell, training wheels, and ribbon streamers. This bike is bulky, and hard for a 3-years-old child to pedal. There is no kick-stand if you remove training wheels. The instructions are vague and in tiny print. The plastic fasteners on the basket are not very strong. Pedals feel very stiff with the training wheels. 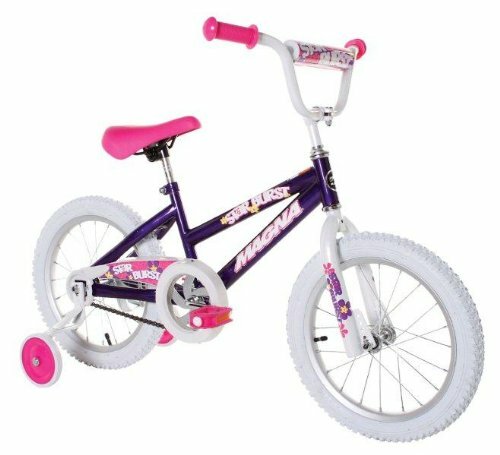 This is the summary of consumer reviews for RoyalBaby Stargirl Girl's Bike (12-14-16 Inch, Blue / Pink). The BoolPool rating for this product is Good, with 3.90 stars, and the price range is $89.99-$119.99. Are your kids into too much TV and iPad games? Gift a bike because riding a bike is not only fun, it improves physical fitness, learning development, and mental health. 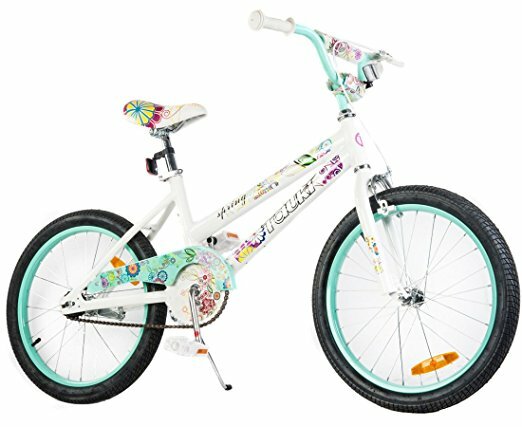 RoyalBaby Stargirl Girl's Bike is a well-built, high quality, sturdy, durable, and comfortable bike designed specifically for children. This bike comes 95% assembled, and all the necessary tools are included to assemble training wheels, pedals, handlebar, and seat. The Front Caliper Brake, Rear Coaster Brake, and special kids size brake lever, ensure smooth stops. The saddle is adjustable, cushioned, high back and comfortable. This one-speed bike is brightly colored and built with a welded steel frame and fork, has an enclosed chainguard, non-slip resin pedals with reflector, one piece crank, quick release seat post, and the Kraton soft rubber grip for easy to hold on. The Wheels are steel hole rims with wide knobby rubber tires, comes with a pump so it can hit the sidewalk in no time. RoyalBaby Stargirl Girl's Bike includes a basket, bell, heavy duty training wheels and ribbon streamers. 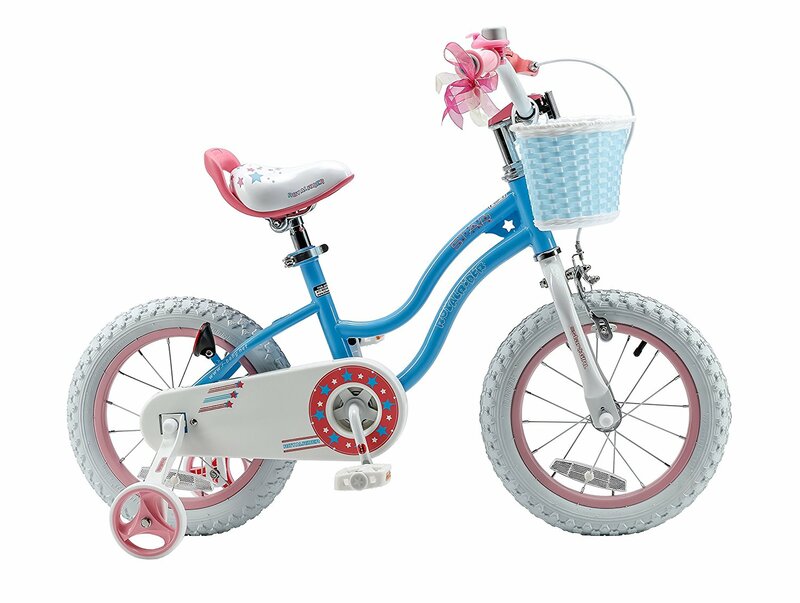 Users love RoyalBaby Stargirl Girl's Bike as it is a great quality bike that is easy for a young child to ride. They are impressed with the small details such as holding the bar behind the seat, pre-lubed frame and nuts. The chain is covered by plastic so that no need to worry about clothing/laces or anything getting caught in them. The tires are sturdy enough to ride on the gravel roads. Kids love the new brake lever with the shortest distance to the handlebar as they can operate the brakes when needed. The basket is big enough to fit a water bottle and small toys. Although, this bike is pricey compared to the other branded bikes worth the money spent. The warranty varies from case to case. However, the training wheels have a little adjustment to them. You cannot raise them off the ground as your child gains skill and no kick-stand if you remove training wheels. The plastic fasteners on the basket are not very strong. Handlebar streamers and bell are pretty cheap quality. Pedals feel very stiff with the training wheels. This bike is heavy for three years old. They have to struggle to pedal and need a lot of help just pushing them. 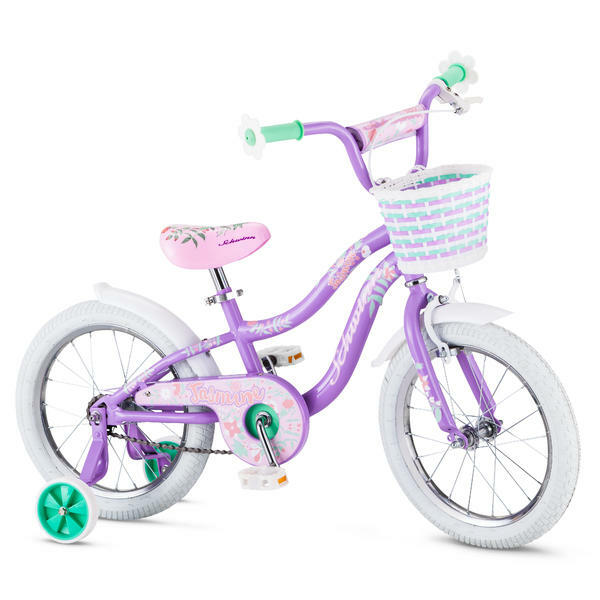 Overall, RoyalBaby Stargirl Girl's Bike is a perfect gift to sense the freedom and thrill. 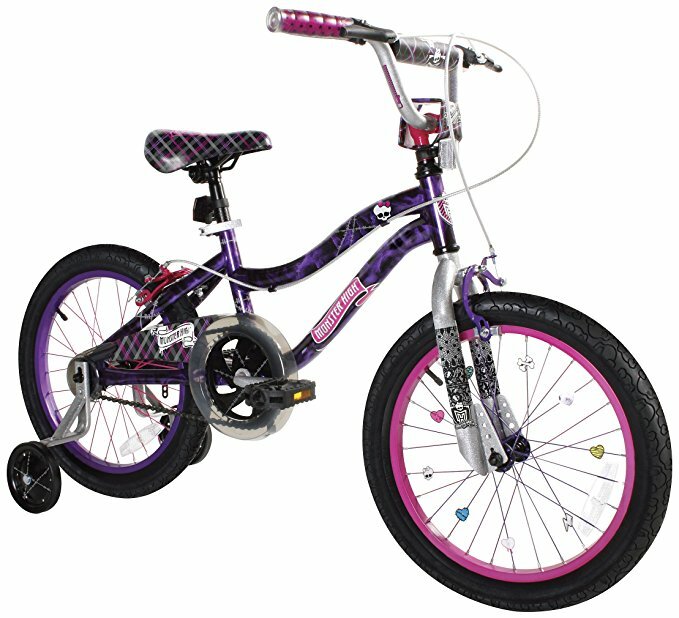 This bike is available in Pink or Blue color and comes in wheel sizes 12-14-16 inch. 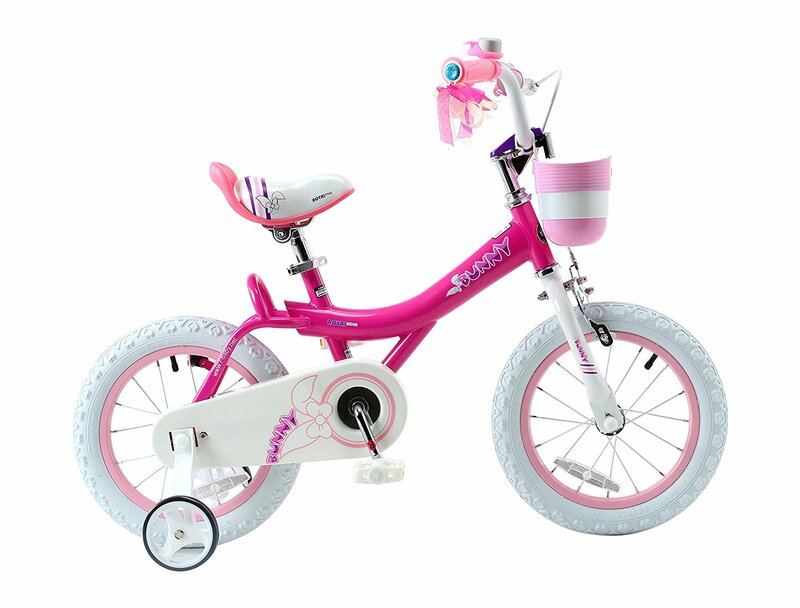 It is a sturdy little bike that is easy for a young child to ride. My granddaughter loves this bike. Just beautiful my granddaughter loves it. The bike is very sturdy and my granddaughter loves it. Completely great came fast and granddaughter loves it !!! I bought this bike for my 3 year old granddaughter and she loves it! My granddaughter love ms her new bike she got for Xmas and rides it all the time. I just purchased a 12 inch one for my other granddaughter. Bought for my granddaughter for Christmas and I really didn't want to out do Santa but I kind of did. Love the way chain is covered by plastic, no need to worry about clothing or anything getting caught in them. My four year loves loves her bike!. A little big for the 3 year old, but she loves it. I love to ride my bicycle!. 3 year old loves it. My 3.5 year old loves this bike !. My 3 YO (tall) loves it. Great purchase, my 4 year old loves her bike. It's great, she loves it, money well spent. Nice bike like in the pictures but rather heavy for its size. I love that the chain is totally covered by plastic so I don't have to worry about her clothing/laces or anythings getting caught in them. For a three years old child, this bike is heavy and has a hard time to pedal. Pedals very stiff with the training wheels. cycle look very nice but bulky for 3 year old, the pedal/chain doesn't engage properly with the rear tire and that end up causing free movement of pedal. My 3 year old daughter has a really hard time pushing the pedals on this bike. Wasn't able to ride due to defective pedal part, didn't thread properly and pedal didn't stay on. The chain keeps falling off and somehow the pedals keep loosening up. The bike is great except that the pedals keep falling off. 3 year old really struggles to pedal and needs a lot of help just pushing them. 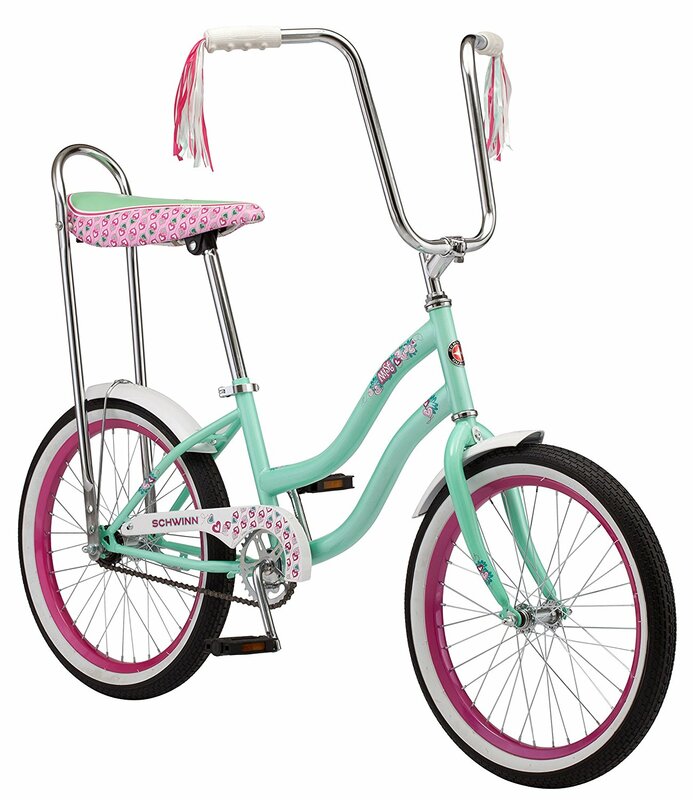 While the bike is super cute, the pedals are extremely hard to push. We returned this because the pedals were just too stiff and the bike was impossible to ride in tricycle mode. It's heavy, the chain barely works, my poor (athletic) child can barely push the pedals, the bell doesn't work, and the tire tube lasted a week. Great quality and price. Well packaged and easy instruction to assemble. Assembling is very easy and smooth riding. Great quality bike and easy to assemble. Sturdy little bike that's easy for a young child to ride. Easy to assemble and seems solid. Easy assembly (for my husband with tools) and smooth ride. It's also very easy for her to ride. easy instructions, well packaged and a great price. Kids love the new brake lever with the shortest distance to the handlebar as they can operate the brakes when needed. Our daughter loves this bike! My daughter loves her bike. My daughter loves her bike!. 4 year old daughter loves this. 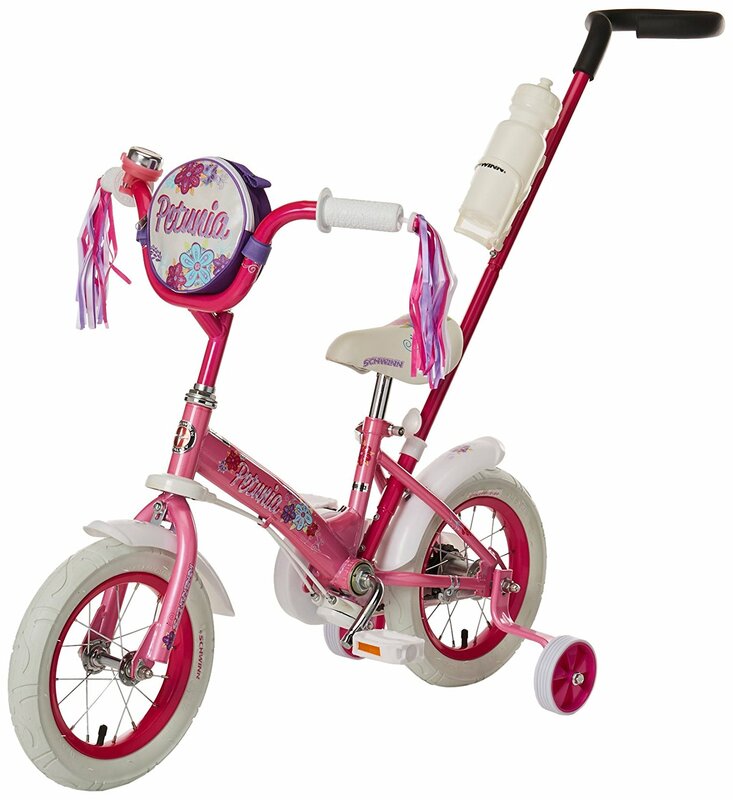 My daughter loved the dark pink color and she rides it easily. Breaks are on the handles which my daughter loves.